Dorset Queen was build in Rothesay, Scotland in 1938 and originally cruised around the Isle of Bute. In 1940 she was requisitioned by the Royal Navy for war duties and is believed to have been one of the volunteer ships in the Dunkirk rescue missions. 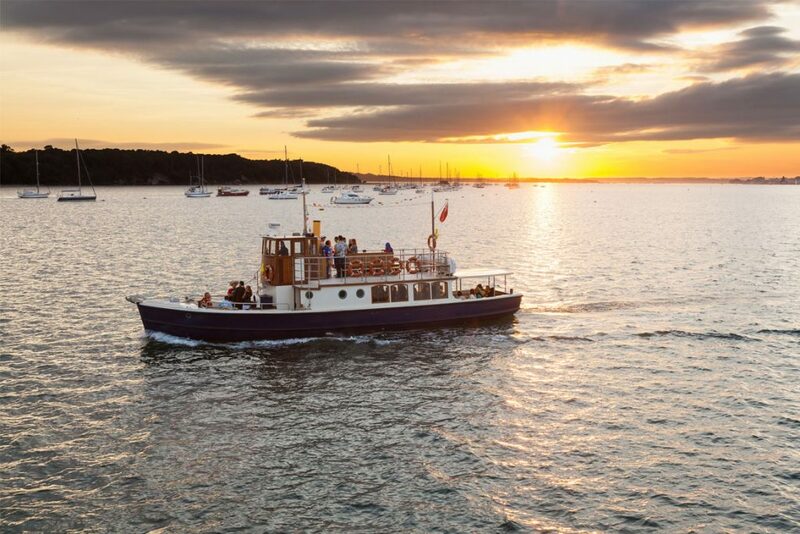 Dorset Cruises acquired a tired Dorset Queen in 2008 and after an extensive restoration she is now available for private, luxury charters and exclusive ticketed events run from the historic Poole Quay. In her 80th year of service, Dorset Queen is now officially recognised as an esteemed member of the UK Historic Ships Register and is now the only vintage motor yacht on the South Coast of England. With a total capacity of 100, she is operational from March through to November to ensure a memorable event cruising Europe’s largest natural harbour. Our ticketed events include Artisan Gin Tasting, Live Jazz Cruises, Afternoon High Tea, Wine Tasting, Craft Ale and Champagne & Oyster Cruises. 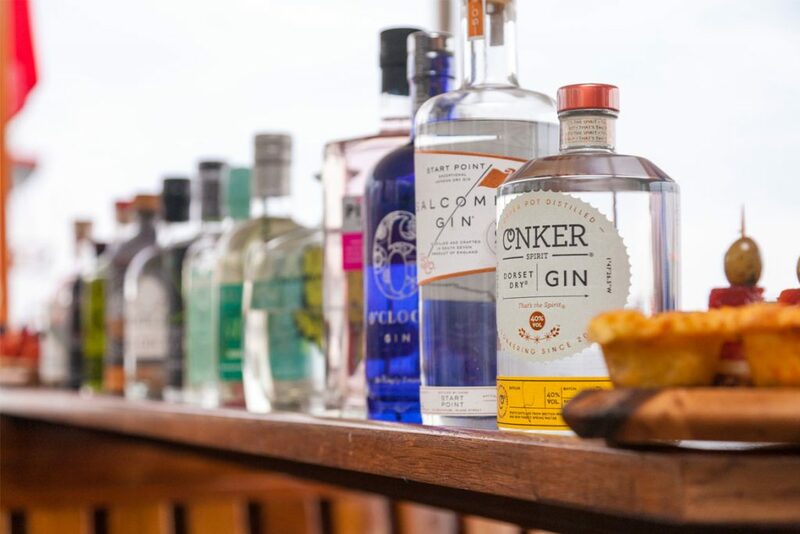 We work closely with many prestigious local companies, such as The Priory Hotel – Wareham, Shell Bay Seafood Restaurant, Hotel du Vin – Poole, Conker Spirit, Black Cow Vodka, The National Trust – Brownsea Island, as well as being a proud sponsor of The Poole Harbour Boat Show. 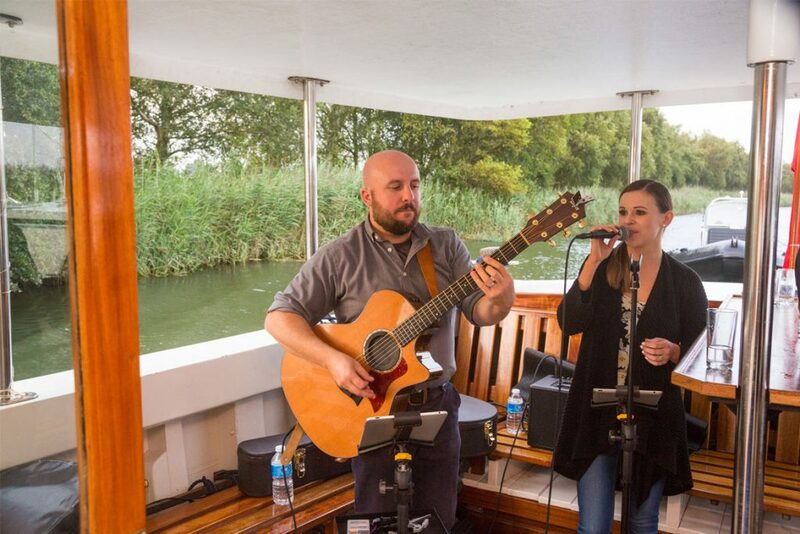 In addition to our ticketed events we also offer private events and charters including weddings, corporate events, birthdays, anniversaries and celebrations of life cruises. Onboard amenities include a fully heated and enclosed lower saloon, ladies and gents washrooms, onboard BBQ station, upper sun deck offering panoramic views, multi-deck sound system and a licensed bar stocked with 20 artisan gins, draught lager & local ale, regional wines, extensive spirit range, barista style coffee and soft drinks. 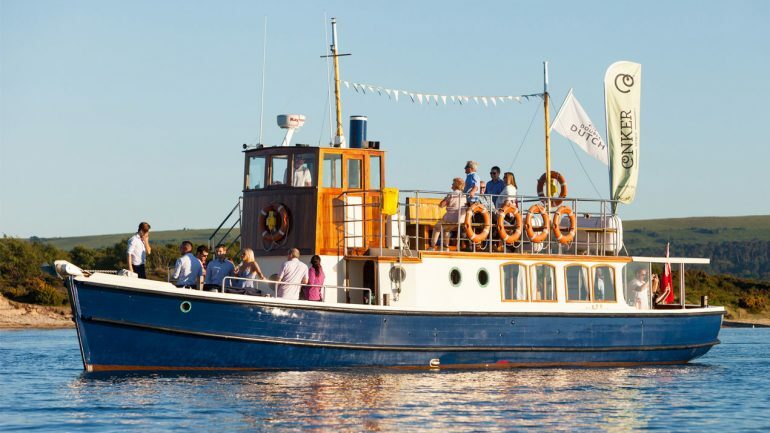 Step aboard a piece of history this summer and create an event that your guests will be talking about for years to come.